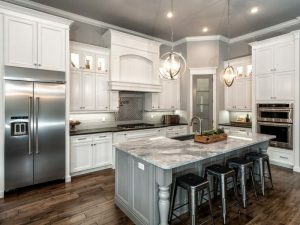 Kitchen can be decorated in so many ways. 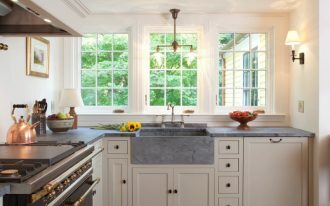 But, if you love to have warm kitchen, you would love to have country theme as country kitchen makes the warmest kitchen. With its natural material, warm colors, details, and textures, country kitchen looks the ideal place to cook and to interact with your loved ones. 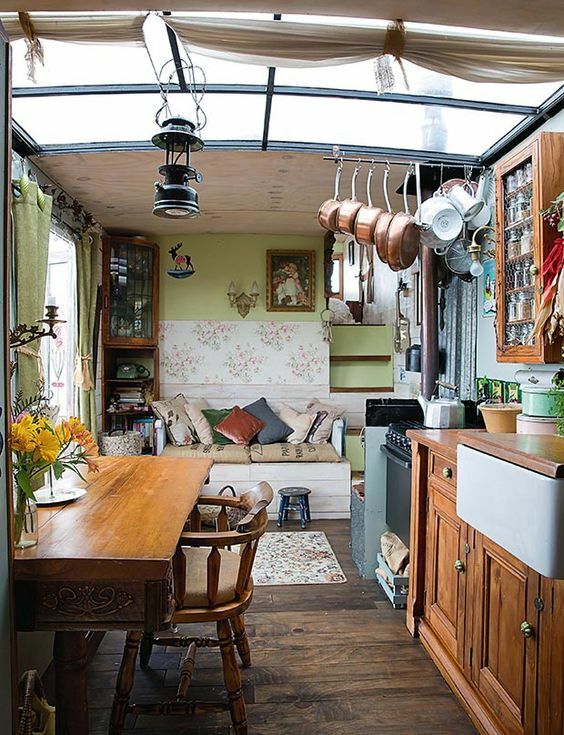 If you’re looking for ideas to create the warmest ideas, here are ten stunning warm country kitchens you can look up. In this kitchen, the element of natural is used everywhere. And it is not only natural but the old and warm looking natural look. 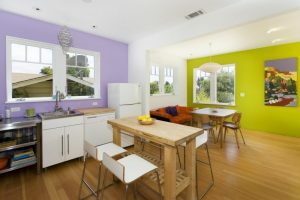 The washed out white bottom kitchen goes along with the floating kitchen and shelves. The added round wood slab and stool in the middle is a classic touch that completes the the overall look. 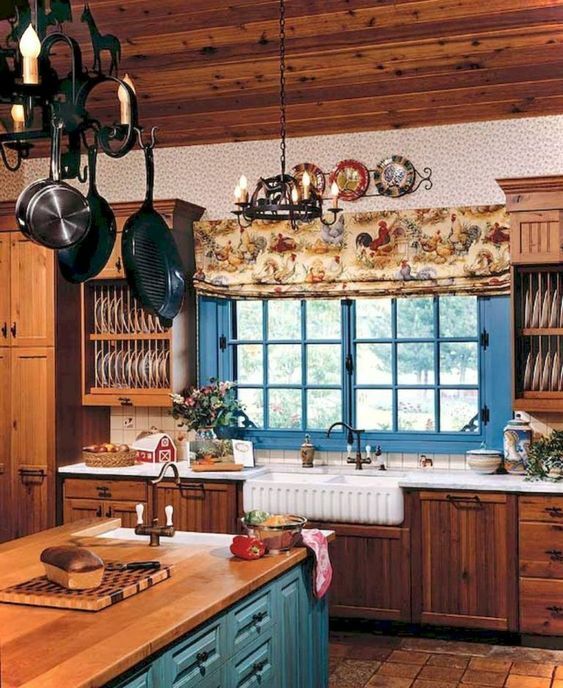 Similar to the previous one, this one also empowers the warmth of the country kitchen with the old classic look. 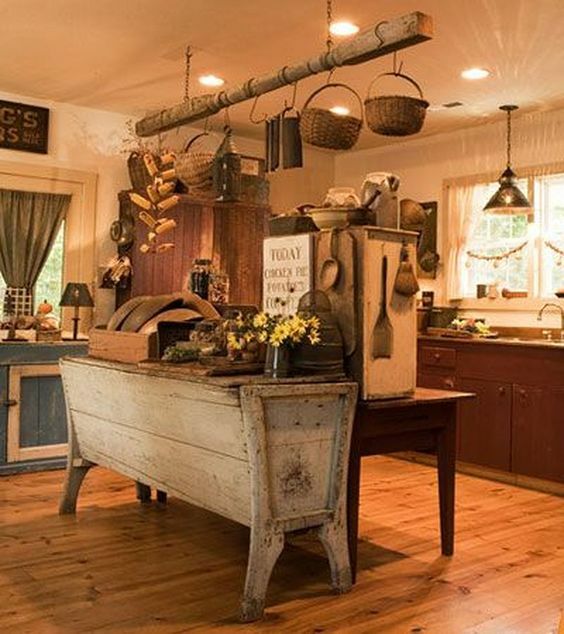 The center of the kitchen here looks so traditional with the hanging rod to store kitchen tools and the wooden table to help you prepare ad keep your food. This one here presents a country kitchen with more modern touch in the cleaner lines on the design. However, the traditional look is still the strongest character here with the wooden cabinet, marble kitchen top, and the wooden table in the middle. One of the character on the accessories on traditional home is the show of religious belief. 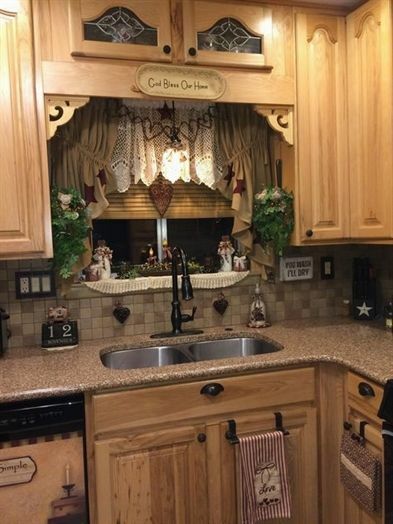 Here in the kitchen, the accessories are displayed so beautifully on the hole made on the backsplash with its miniature, curtain, and many layers. 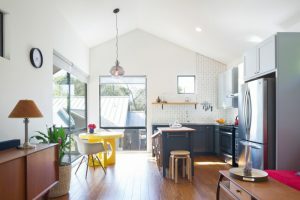 Creating warm kitchen can be done even in the small space. In this kitchen, you can see the limited space here still affords to create an interesting country kitchen. 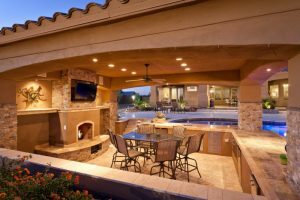 Being open to the living room, this one here is helped to not being too cramped. And the glass ceiling gives the spacious effect besides also gives the maximum level of light. 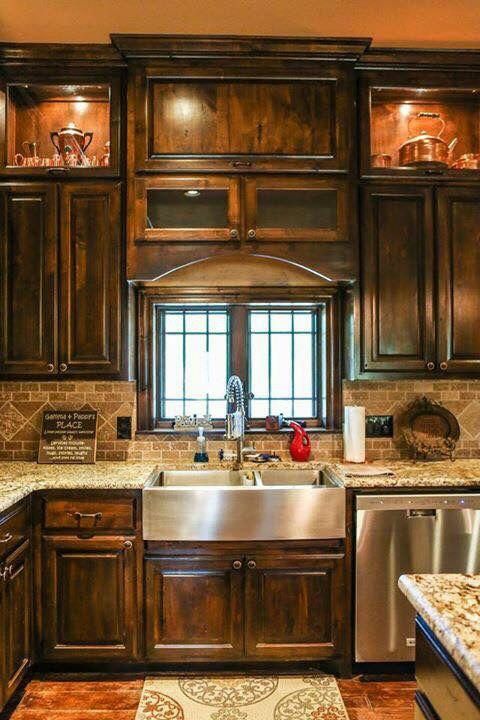 This one here brings out the warmth on the dark wooden cabinet on the upper and bottom cabinet, the brown backsplash, yellow marble, and the wooden floor. 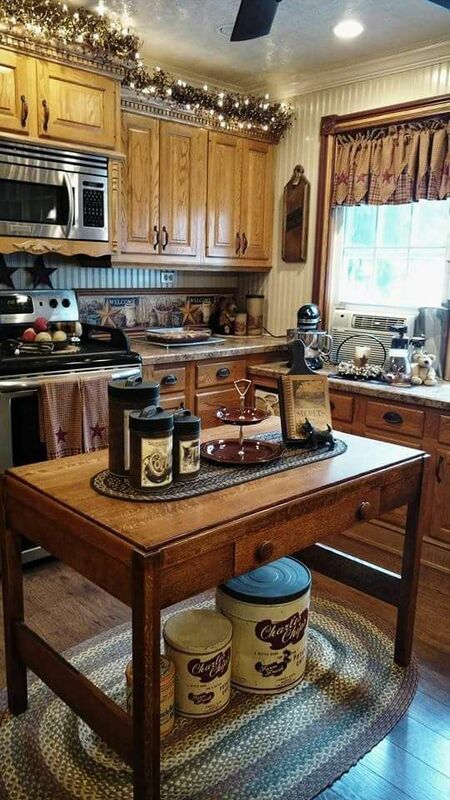 Together, they create an elegant look of country kitchen. 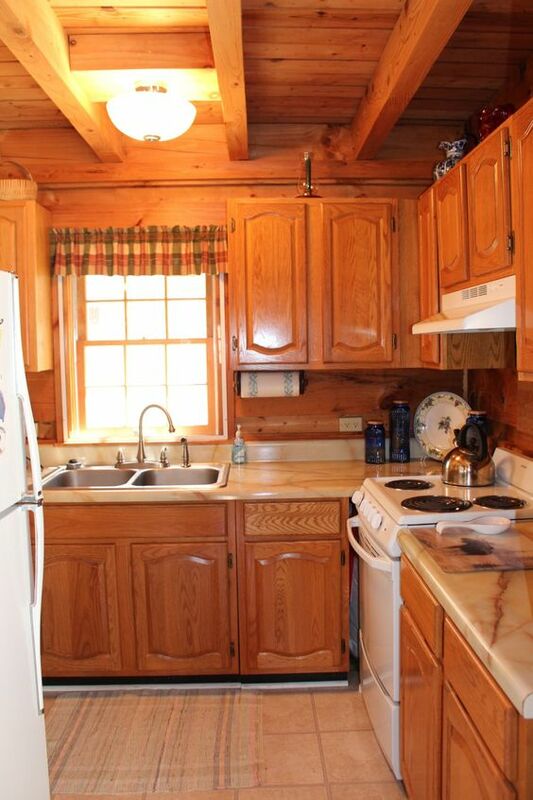 This kitchen here gives a simple look on the wooden cabinet and the marble top. Even the details look so simple on the door of the cabinet. To make everything even warmer, the ceiling is also wooden with some beams. The matte finish on the wooden surface looks endearing. It brings a modern look to the traditional kitchen. 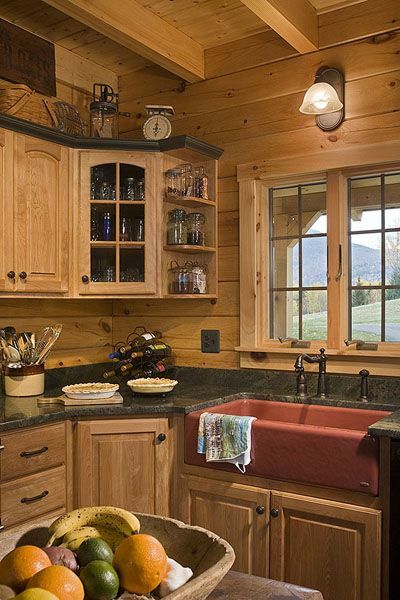 The interesting touch is in the warm red apron sink that looks more pronounced among the brown and black surrounding. 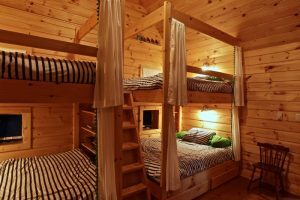 This one here not only gives country and traditional look but also rustic feeling with the rough looking wooden material from bottom to the top. The interesting pendant with deer shadow is a perfect choice to decorate this kitchen. 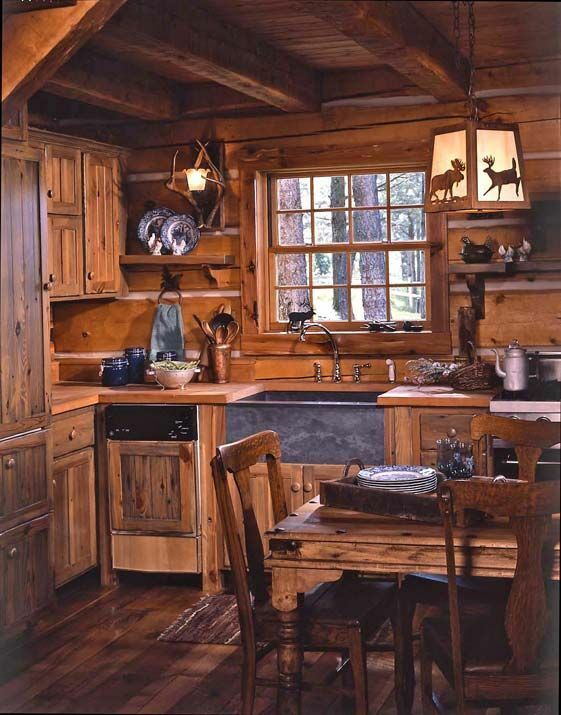 This country kitchen looks so elegant with the dark wood material. 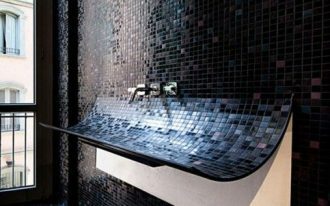 The differences of the textures are interesting and the combination of blue and brown color is also endearing. 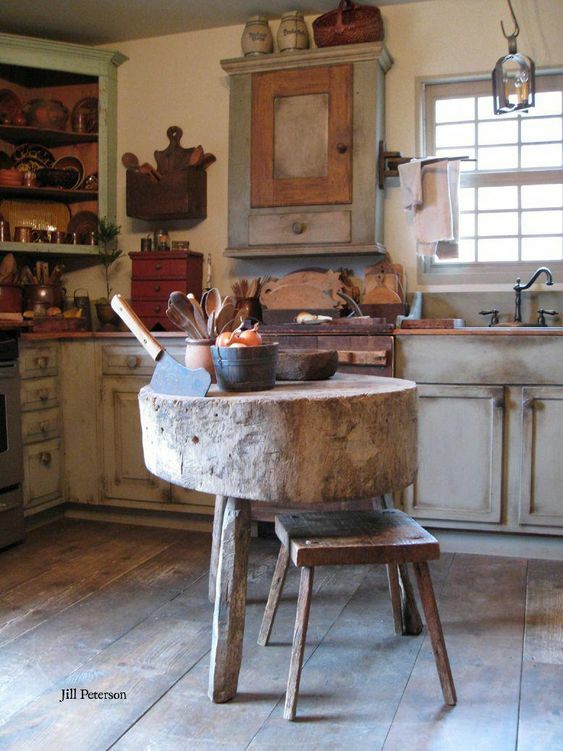 It makes a warm and interesting country kitchen.